The recipe came from Wednesday’s Food section. And Tom Warner, a retired deputy with the Spokane County Sheriff’s Office, decided to give it a go. He’s no stranger to the kitchen, though. 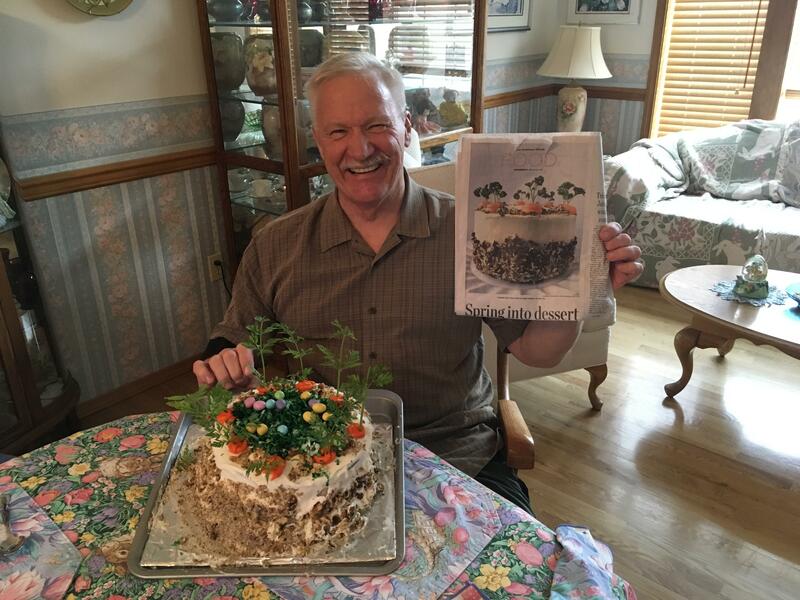 He made a couple of changes to the carrot cake recipe, soaking the raisins in cognac rather than rum – a trick his wife uses for pecan pie. She adapted it from allrecipes.com. Published: April 2, 2018, 2:56 p.m.